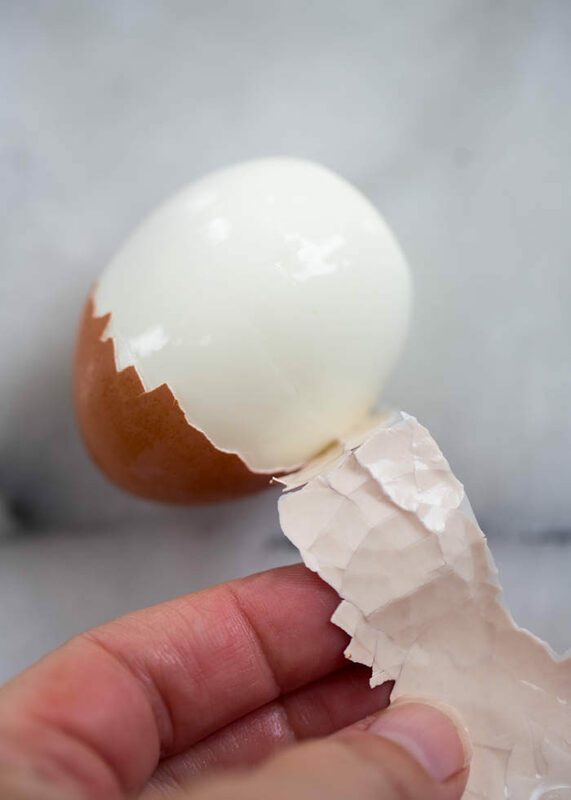 Perfect hard-boiled eggs in just 5 minutes cooking time! Easy cook, easy peel, easy peasy all around. These days, this is is the only way I make my hard-boiled eggs. Seriously, if you buy an Instant Pot for no other reason, hard-boiled eggs make it totally worth it. 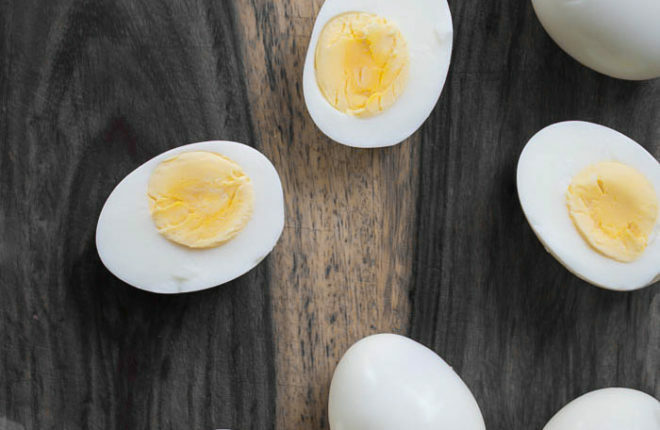 In the Instant Pot, hard-boiled eggs come out cooked perfectly. Plus, when they’re cooked this way, they’re SO fast to make, and they’re almost always SUPER easy to peel. I read somewhere that the hard-boiled eggs you find in the deli section are often cooked via pressure cooker. I guess they all knew something I didn’t – at least not until last December when I finally gave in to the, erm, pressure, and ordered my very own Instant Pot. And now, I’ll give you one guess as to what I use my Instant Pot for most. You guessed it, my friends! I make hard-boiled eggs in the Instant Pot every. single. week. I mean, I make these recipes all the time, too, don’t get me wrong. But eggs? Numero uno, hands down. So, are you ready to learn how to make them yourself? It’s so, so easy. SO EASY. First, fill your Instant Pot with 1 cup of water. Place the steamer rack in the Instant Pot. Add 6 large eggs to the rack like so. Point ’em up or point ’em down – I don’t notice a difference either way. Replace the Instant Pot lid and set the release toggle to the SEALING position. Press the “Manual” or, if you have a newer model, the “Pressure Cook” button. This will cook the eggs at high pressure. Set the cooking time for 5 minutes. While the Instant Pot is doing its thing, fill a medium-size bowl with cold water and a couple of ice cubes. As soon as the 5 minutes are up and the Instant Pot beeps at you, do a quick release by carefully moving the release toggle to the VENTING position. Let the steam escape completely then remove the Instant Pot lid. 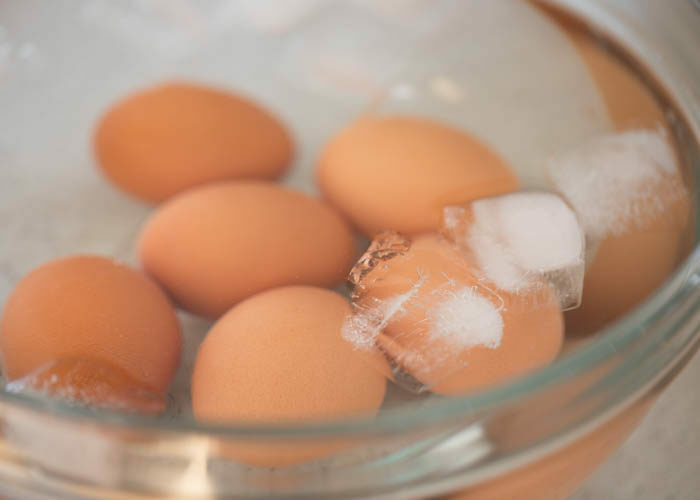 Using tongs, carefully transfer each egg to the ice water bath and let them sit there for a few minutes until cool. This will help keep the eggs from overcooking. That’s it! 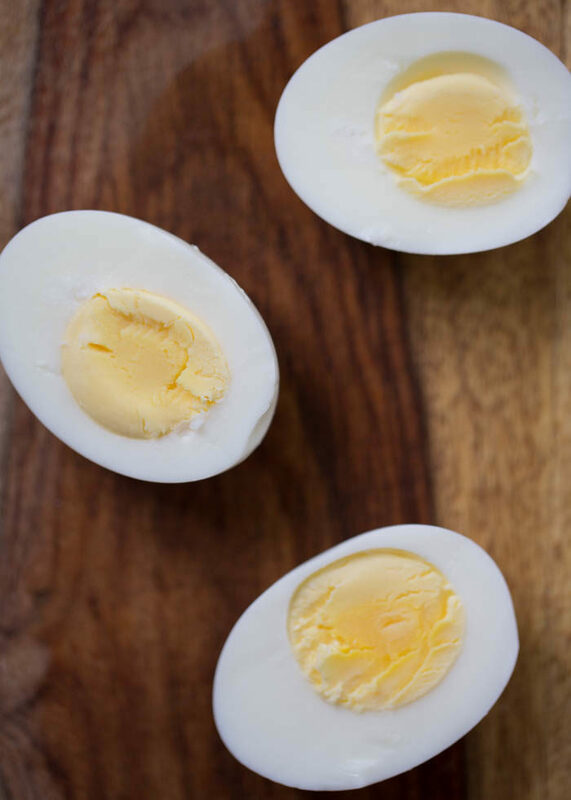 You have perfect hard-boiled eggs! Wasn’t that easy?! I keep mine peel-on in the fridge for easy grab-and-go snacking. 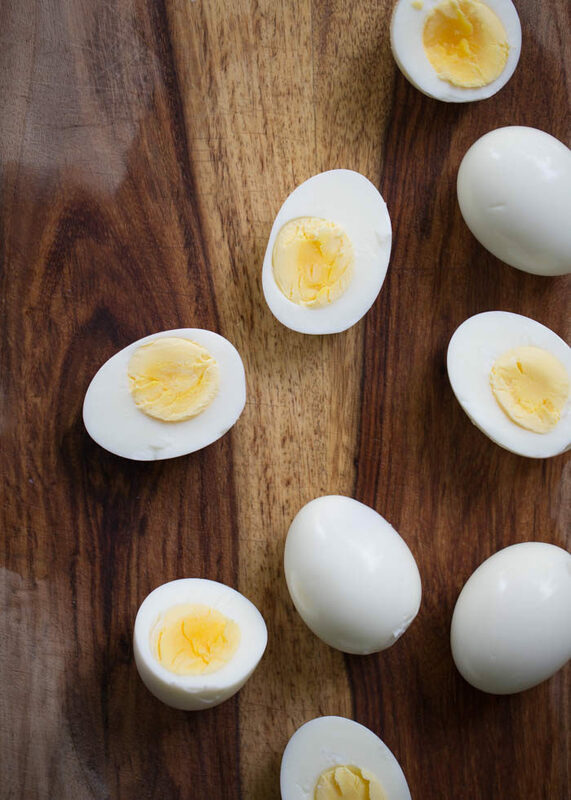 Now go forth and make yourself some Instant Pot hard-boiled eggs! Oh, one more thing. Making Easter eggs?! 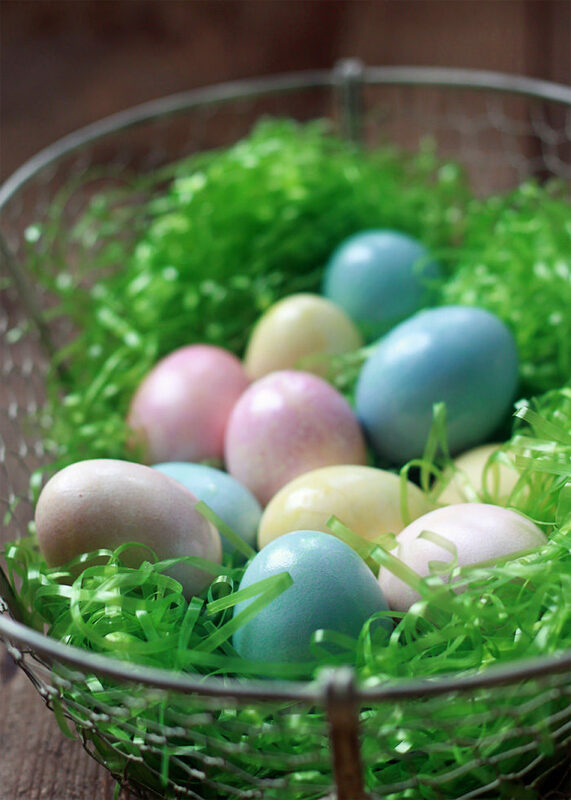 Be sure to check out my guide on how to color Easter eggs gorgeous yellow, blue, and pink with three simple vegetable dyes – super easy and so fun with kids! These eggs were colored with beets, red cabbage, and turmeric! Click the pic to learn more. Fill your Instant Pot with 1 cup of water and place the steamer rack inside. Add eggs to the rack, pointing up or down (it doesn’t seem to matter). Replace the Instant Pot lid and set the release toggle to SEALING. Press the “Manual” button or, if you have a newer model, the “Pressure Cook” button. This will cook the eggs at high pressure. Set the time for 5 minutes. Meanwhile, fill a medium-size bowl with cold water and a few ice cubes. When your Instant Pot has counted down to 0, do a quick release by moving the toggle from “SEALING” to “VENTING.” Watch out for steam burns! Let the steam escape completely. Remove the lid from the Instant Pot. 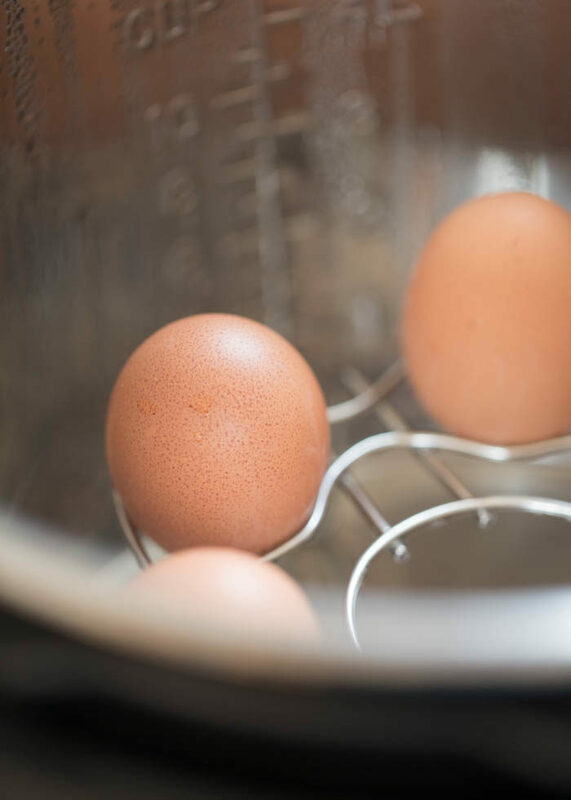 Using tongs, carefully transfer each egg to the water bath and let them sit there for a few minutes until cool. This will help keep the eggs from overcooking. 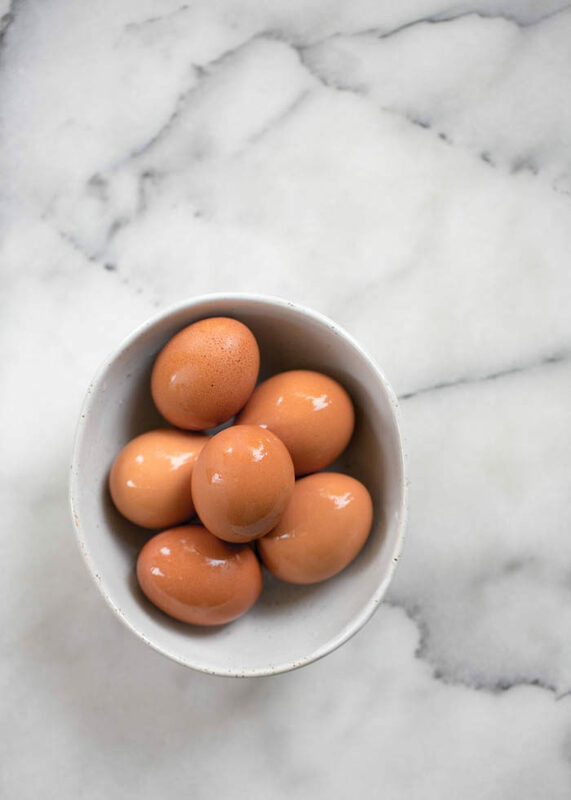 Eggs keep refrigerated for about 5 days. I store them peel-on so they don’t stink up the fridge; they’re super easy to peel either way. To aid in the peeling process, peel over the kitchen sink under a stream of cold running water. Thanks for this recipe. It never really occurred to me to use my Instant Pot to make hard boiled eggs. I’ll give it a try and see how it goes. Best hard-boiled eggs ever! 😀 Hope you love the method as much as I do. 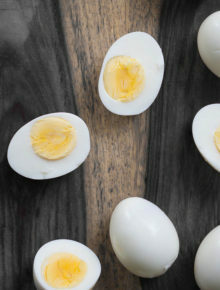 The BEST boiled eggs ever! So simple, no mess, perfect centers and oh so easy to peel. Thank you. Glad I searched this out for my electric pressure cooker. Yay! I agree; I really don’t make them any other way anymore. Do you think I could use this method with fewer eggs? I’ve been using my IP for over a week now and I keep trying to perfect my hard boiled eggs and it’s not working for me. I did the 5 mins high pressure with quick release, as you did, followed by ice bath and they were very runny. I then tried the 5 mins high pressure, followed by 5 mins natural release and ice bath and still runny. I’ve increased the time with both quick release and natural release and I’ve yet to get a perfectly cooked egg yolk. I’m starting to wonder if my pot is not working correctly. Hi Cara, that’s very strange! I have to wonder if there’s a problem too. Does it cook other foods okay for you? One other thing – I used the “medium-size bowl with cold water and a couple of ice cubes” method instead of the “run under a steady stream of cold water because, you know, I’m impatient” one, and that probably made a difference too. I tried them and there was a two little soft spots on them. Not nicely hard boiled like yours in the pictures. I have the 8 quart pot, would that make a difference. Used the manual button and 5 minutes. So should I try 6 minutes next time? I keep having the same problem but not all the time. Sometimes they’re perfect, other times they’re runny. Yesterday they were runny so I put them in for another 6 minutes and still runny! It’s sealing, the timer is counting down, the pressure releases, I put in ice water. I have no idea what is going on. I don’t change a thing. That is so strange! Have you had any problems cooking other items? I haven’t. I’ve been trying to figure out if it’s the local “yard” eggs vs conventional store bought eggs but I’m not sure, we somehow got them all mixed up in the fridge. Hi, I’m having the exact same problem. I’ve tried it twice now and the eggs turn out runny. what would you do time wise for lets say a dozen at a time ? We have the smallest Instant Pot. It has an ‘egg’ setting that I used. It warmed up and then went to a 5 minute cycle. The eggs came out a bit runny. Your thoughts? Hmm, I wonder if the egg setting is high pressure. If that setting doesn’t work to your satisfaction, try using the “manual” or “pressure cook” button and set it to 5 minutes. If they’re still a bit runny, I’d suggest adding a minute at a time on “manual” or “pressure cook” until they’re how you like them. Egg-xactly what daughter said! Thanks for the advice! My Instant Pot was just delivered today and this is the first thing I’ve cooked in it. Eggs turned out perfectly! Any changes for doing a dozen eggs at a time? Yay! 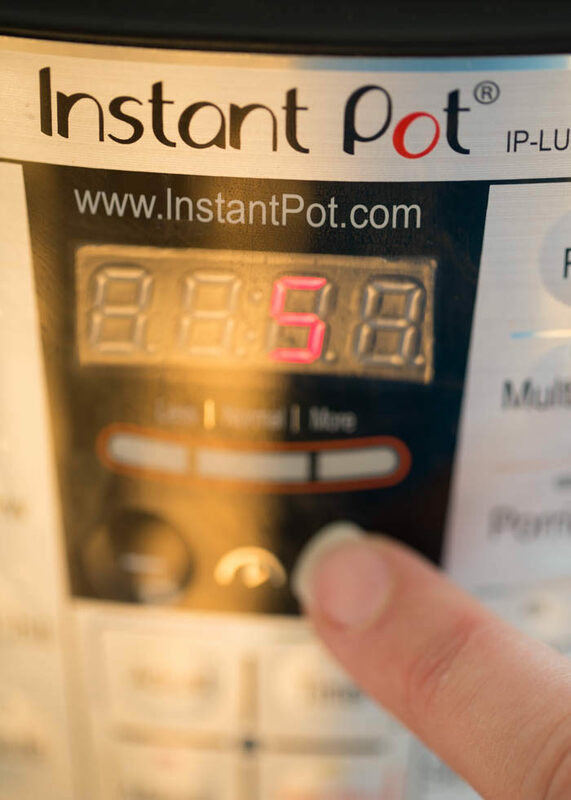 I hope you love your Instant Pot as much as we love ours! I’ve never cooked more than 6 eggs because my rack only holds that many, but I think a dozen should cook just fine at 5 minutes also, depending on the size. So! I’d just wasted 6 eggs in my air fryer when deciding to try my Instant Pot. This recipe was perfect! Soft, perfect center, so beautiful! Not overexaggerating when I say best boiled egg I’ve ever had. they are so simple to boil if you have a short time and have nothing else to eat. I made hard boiled eggs in the instant pot. I added 1 cup of water and 30 eggs. When I peeled them they were brown in color. What did I do wrong? Hi Angie, I’ve only cooked six at a time. I’m not sure 30 will work the same way! The rack I have does not hold eggs well. Where do you get the rack you have? It came with my Instant Pot, but I have heard of a few after-market options that work great. Thanks so much for sharing, Don! What size Instant Pot are you using? I just did 8 on 5 minutes pressure and 5 minutes natural release and they are brown in color. I was wondering if it was from the shell color. Anyone have this outcome? My eggs we runny in the middle and they did not peel well after 5 minutes. Needed another 3 min at least. I followed the recipe exactly and my eggs came out VERY undercooked after 5 minutes on high pressure. I’m sorry this didn’t work out for you! I am finding that this is not an exact science – outcome can vary depending on temperature of the eggs and the pressure cooker you have. That said, very undercooked doesn’t sound right! I had that happen recently when my IP didn’t seal properly, any chance that might have happened? 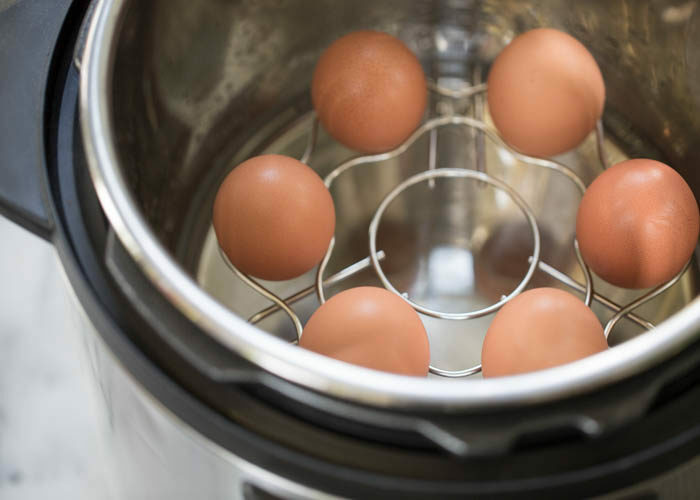 LOVE how easy it is to hard boil eggs in the instant pot – i’ll never go back to stove top! 1st batch and they are perfect!